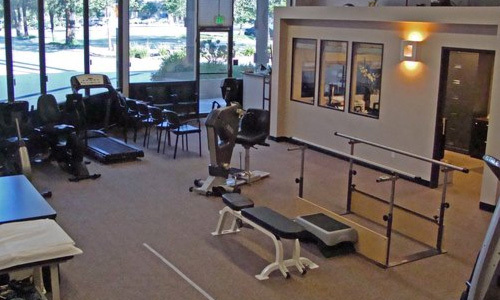 Genesis Physical Therapy only hires the best possible therapists to ensure your rehabilitation has great foundation for the best possible outcomes. Your health deserves the best professionals. Every patient has a specialized treatment program tailor made for their unique goals, injury and life-style. This is what sets us apart. When we say one-on-one we mean it. Our clinic was designed with this principal as the foundation. We have six individual private treatment rooms to ensure your treatment is "one-on-one." When one part of you is out of balance, it can affect every part of your life. Our individualized treatment plans are designed to help you regain your strength, restore function, and discover new levels of health and vitality. You are unique, and so is your pain or impairment. That's why we take a personal, one-on-one approach to your care. You'll always be seen by a physical therapist who takes the time to get to know you, answer your questions and help with your challenges. Our therapists use targeted therapy to relieve your pain and improve your function as fast as possible. Faster pain relief means fewer therapy appointments. It also means getting you back to your job, your family, and your life that much sooner. Genesis Physical Therapy - Helping you get back to life.